I decided in 1994 to do a documentary on Nunatsiaq News for CBC radio’s national media program, “Now the details,” about the difficulties of journalism in the North. For this program, which required my spending hours with the newspaper’s staff during its production, I forged an even closer professional relationship with the newspaper. That’s because the Nunatsiaq News was often a target for high-level threats, too. “Often comments are made in front of other media that are referring to us. That’s a messenger service. It’s a kind of back-door intimidation which frankly doesn’t work,” the newspaper’s publisher, Steven Roberts, said in an interview. In one instance, the Nunatsiaq News was pulled off airline flights to the eastern Arctic when there was a story about a plane crash involving one of the airline’s aircraft. And members of political organizations often called in to complain either about specific journalists or their stories’ content. “This is how the game is played. In the North, the way to influence the media is to intimidate them: it’s not to work with them, it’s not to make the media’s job easier so they can report. The tack taken is to make it harder for the media to do their job and hopefully they’ll forget about the story,” Roberts said. So, I learned that I was not the only one who had a tough time getting information: Journalists who continued to report “negatively” or completely on issues that leaders or communities would prefer not to make public could be ostracized. As a result, many northern journalists and news organizations simply chose to avoid certain subjects. In some respects, this was not surprising: in the not-so-distant past, news was simply transmitted by word of mouth. This sort of first-person reporting was the way a hunter might talk about a recent adventure. So, modern-day reports on abuse or other forms of violence, delivered by media, as a third party, were perceived negatively and even as not being truthful or “factual.” These reports were — ands still often are — also viewed as hurtful. During my interviews the staff at the newspaper told me what I’d already experienced first-hand — that when efforts to control media by threats, coercion or self-censorship fail, journalists will often simply be thrown out of meetings. The impact of news stories could create a debate with disastrous consequences for leaders, so it was in their interest to be the first to say that “news” was not part of traditional Inuit culture. 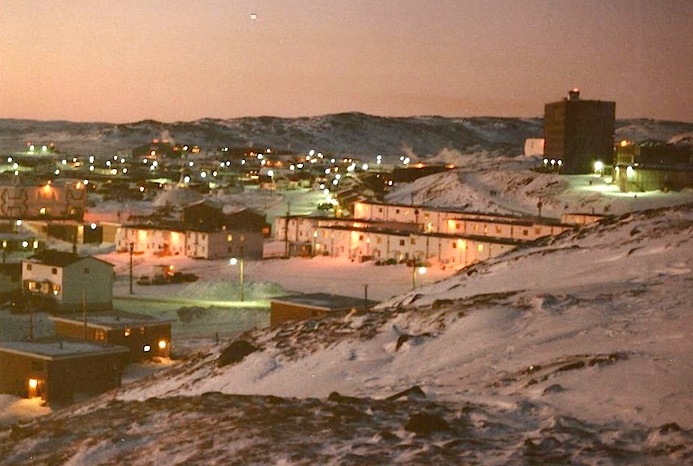 Political dealings between Inuit and southern-based Canadian governments hadn’t helped create a tradition of open communication, either, and land claim agreements were negotiated behind closed doors, not in a public fashion. The political reality — where the land claim organizations administer huge sums of money — led to a situation where powerful political figures also control much of the economy — so, why not control of the media as well? 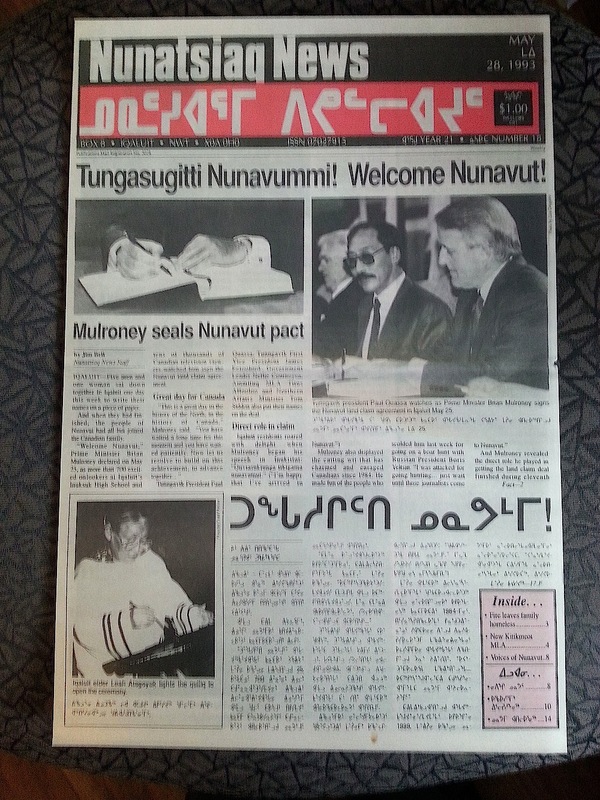 A Nunatsiaq News cover from 1993. “Up until now, we’re managed to take on all these challenges head-on. I’m not going to say that there are winners and loser in this, but the day that we face a situation that we’re unable to handle, it’s the readers that have the right to know first,” Roberts said. But not all Inuit were opposed to the revelations of southern-style journalism. “There were things we couldn’t talk about then to see our society grow. Today, it’s different and we have to talk about certain issues people are uncomfortable with, but we have to talk about it for future generations to be create a good society, like the society we had 100 years ago,” said another woman I know. Sometimes, I would even get calls at home, from Inuit I met, telling me not to give up, so I didn’t. You can read the first part of “No news is good news” here. The next instalment of Like an iceberg will go live April 17.